An exceptional day tour along Mount Athos . The monastic state, located on the third and eastern peninsula of Halkidiki, is a self-governing part of the Greek Orthodox Church and its monuments from the Byzantine period are enjoying worldwide fame and they worth to be visited. Since inception (7 to 9 century) women are not permitted to access. Men can enter the Mount Athos only after obtaining a permit. The today existing 20 monasteries accommodate treasures of inestimable historical value and are infallible witnesses of the Byzantine Empire. 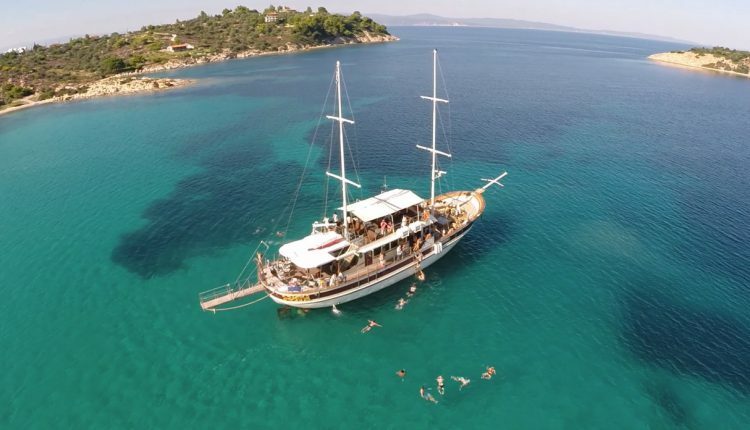 The traditional ship ”Agios Georgios” departs every Wednesday and Saturday from Ormos Panagia’s port at 09.30 in the morning, it sails along the Sithonia’s bays until we reach our first destination which is Mount Athos at the south top and monastery of Saint Paul. We continue with a sail along the coast heading to the North in order to see 8 more monasteries from nearest distance allowed without crossing the borders of Mount Athos. 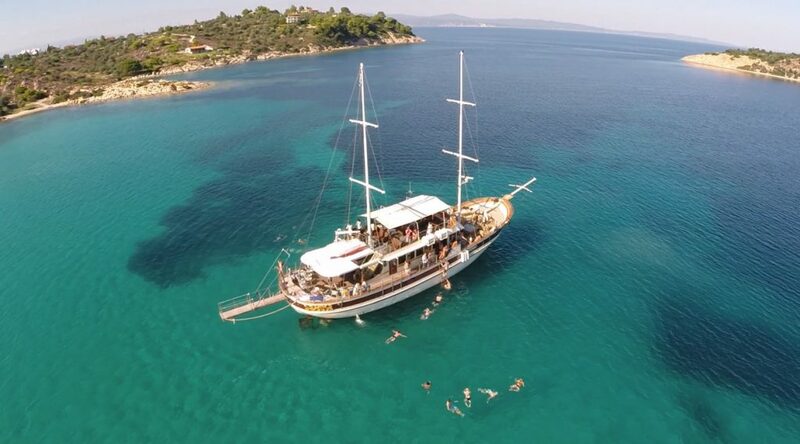 After an hour we will head to Ormos Panagias which is our last destination, during our return there is live bouzouki on board giving you the opportunity to dance traditional Greek dances, Our arrival at our final destination Ormos Panagias will be at 17.30.